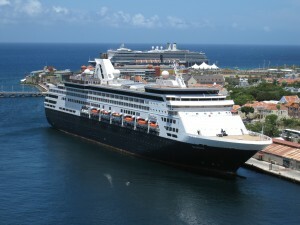 WILLEMSTAD - Curaçao Ports Authority (CPA) announces with great pride that Curaçao has been named the top cruise destination in the Southern Caribbean according to the Cruise Critics Cruiser’s Choice Destination Awards. Cruise Critics is the world’s largest online cruise forum. The award is based on experiences from cruise passengers that visited the island and have posted their comments on the Cruise Critics' website the past year. Visitors commented that Curacao's downtown area with its colonial architecture was amazing. Food and shopping were also excellent. Congratulations to all stakeholders related to the cruise sector that works hard every day to make the experience of cruise passengers visiting Curaçao an unforgettable one!